“Capture the Moment” hopes to inspire assisted living residents to enjoy the present while still celebrating the past. Many adults 65 and older battle isolation and loneliness as they age, which can impact their mental, emotional and physical health. Community engagement may be the key to combatting this issue, and Residential Plaza at Blue Lagoon offers life-enriching social activities to help residents continue to lead fulfilling lives. National Assisted Living Week was created by the National Center for Assisted Living (NCAL) in 1995 to recognize the role of assisted living in caring for America’s seniors and individuals with disabilities. 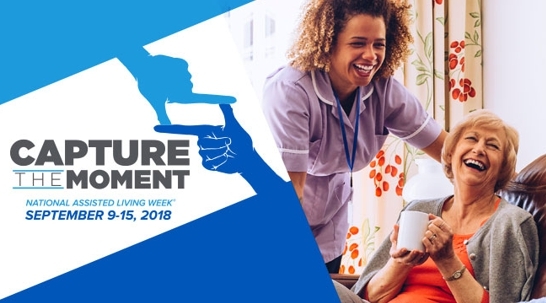 The annual observance inspires assisted living communities around the country to offer a variety of events and activities to celebrate the individuals they serve, as well as to help educate members of the public about this distinct aspect of long-term care. For more information on National Assisted Living Week, visit www.nalw.org. About Assistance to the Elderly, Inc.
Assistance to the Elderly, Inc. is a 501 (C) (3) non-profit organization that enables low-to-moderate income vulnerable adults to lead meaningful and dignified lives by providing supportive housing, services, community education, and advocacy.